Like thousands of other Guyanese over the years, they left for all kinds of reasons: higher education, reunite with family, economic hardships, racial and other violence, political victimization, corruption, crime, and more. Violent crime remains at critical levels. In South America, Guyana has the fourth highest murder rate, after Venezuela, Colombia, and Brazil (UNODC 2010). That’s three times higher than the United States. During the period of the civil rebellion that culminated in the assassination of Dr. Walter Rodney on June 13, 1980, I was working at the University of Guyana Library, Turkeyen Campus. I left the hotbed of political intrigues and victimization to work in the private sector. In 1982, with the economy in crisis, the government’s ban on imports of wheat flour and other staple food items brought new hardships. Contraband flour from Suriname kept our newly-started, home-based pastry business going. The locally produced rice flour substitute proved useless for baking Chinese and English pastry. Doing business under such conditions came with its dangers and stress. When the ban on wheat flour lifted four years later, another crisis hit us: the thallium scare. Panic broke out in the capital in July 1986 with the disclosure of several cases of death by thallium poisoning at a local private hospital. Although the World Health Organization had banned its use as a pesticide since 1973, the Guyana government was using the highly toxic poison as a rodenticide on our sugar plantations. Fear and panic spread when the Government Analyst Department diagnosed a high incident of thallium poisoning among the hundreds of Guyanese tested. My husband, our two sons, and I were numbered among those tested positive. Later, it turned out that their equipment had malfunctioned. The news came too late for me and my family. We had already left Guyana for Brazil. Recent articles in Guyana’s online news media reflect concern about persistent emigration and brain drain. While some emigrants do turn their backs on the land of their birth, a great number of people in the Guyana Diaspora remain connected and engaged with the relatives and communities they left behind. In his article, “The Diaspora Reconsidered: A Guyanese Perspective,” Lear Matthews mentions some of the organizations that facilitate that bond. Over two years ago, the Guyana government and the International Organization for Migration launched the Guyana Diaspora Project, designed to contribute to the economic development of Guyana through the support and engagement of the Guyanese Diaspora. The groundwork for its implementation is in place. It’s up to all parties involved to make it work. A very “interesting” part of your life, in the sense of the old Chinese curse, “May you live in interesting times.” Your resilence is extraordinary! Brava, Rosaliene! Thanks for your continued support, Cyril. I Can relate to your experience, my situation was similar when my Family was Fragmented through Migration to Different Countries. We only re-connected after many Years, practically strangers. Was a High Price to pay for Greener Pastures. Thanks for sharing, Aleem. A high price, indeed! It’s even worse for our children who grow up without knowing their family. The information about the Guyana Diaspora Project is one of the most important piece of news published. It is so little publicised wonder how many Guyanese know about it. Better yet wonder if govt or other public/ private institutions are making full use of it. If well managed it could make a great deal of difference……….other things apart. Thanks for this information Rose. I agree with you: “If well managed it could make a great deal of difference…” However, the government would have to clean up its act regarding violent crime and marginalization of the black population, among other things, if it wants to attract potential participants in the project. A good piece Rosaliene. I left Guyana joyously during the 60s looking forward to a new life in a new progressive land. When I really felt regret at leaving the land of my birth was as I departed Guyana for the second time after my one and only return for a two weeks visit in 2011. I have never heard of the Guyana Diaspora Project and would like to know something about it. Is there a website from which I can find some information about it? Thanks, Detow. I experienced a similar feeling when I left Guyana again after my first return visit with my sons. It was tough leaving family behind to return to Brazil. The last time I visited my homeland was for the Cricket World Cup in 2007. I spent two weeks enjoying the incomparable Guyanese hospitality, the good food and fine Demerara rum. Little did I know that when I hugged and kissed my beloved mom before departing for Canada, it was to be the last time. She passed away the 19th of October and I was unable to be the funeral, something that will bother till the end of my time. In the end, family is all we have in this world! Nothing else matters. Thanks for sharing your story, Ron. Sorry to hear about your mother’s passing. Whether we’re the ones who stay behind or the ones who leave, the loss for the family is the same. When my father died in Guyana in 2001, I was unable to get a flight to Georgetown from Fortaleza, Northeast Brazil, to attend his funeral. It bothers me that I did not even know he was ill.
Rosaliene, thanks for sharing your personal experiences during some difficult times in Guyana. Most of us who have emigrated share some of those dark days in Guyana when we were deprived of some basic necessities and had to resort to illegal means and suffered penalties to acquire them. I appreciate the information about the Guyana Diaspora Project website. i was unaware of its existence. There’s a saying, “Home is where the heart is.” Since I believe there is truth in that, I’d assume Guyana will always reside in the hearts of most Guyanese who have emigrated. I first learned about the Guyana Diaspora Project when our Guyanese Online Blog posted a report of President Ramotar’s visit to New York to launch the project. Since then, the government has made more progress in its implementation. I, too, can relate to this article and it is deeply saddening that the story is the same for so many of us. I wasn’t able to return for my mother’s passing. I didn’t expect that death would take her so soon. What especially haunts me is that my mother had a saying that “if you can’t come and see me when I’m alive, don’t come and see me when I’m dead.” Britain and America have caused a lot of cruel pain and suffering and damage to the Guyanese people. Thanks, Gigi. 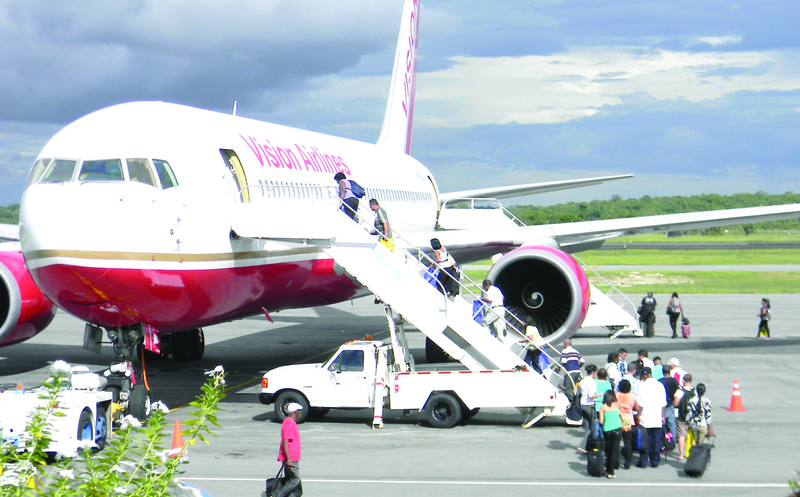 Guyana’s outward migration is ongoing. Its leadership must find a way to transform its brain drain into something beneficial for the nation. Your mother’s comment reflects the pain and demands of separation. In our struggles to make it in our adopted homeland, we in the diaspora often neglect the loved ones we left behind in our land of birth. Immigration and emigration causes the same heartaches and opportunities no matter where you are going or coming from – excellent that this Diaspora Project for Guyana exists to reconnect to your homeland. Indeed, Angela! The Guyanese Online Blog has been a blessing in reconnecting me not only with my native land, but also in forging new friendships in the Guyana Diaspora.